first day of school lunch? Today, she gets her favorite, turkey curry and rice. I’ll pack some beet salad and maybe some grapes. Hope she finds it all this time! What did your child eat on the first day of school? International readers, I’d love to hear from you! Good question! "Food break" would also be OK with me, but maybe it doesn't sound "official" enough. "Eating break" would also work. Of course, even if the word "nutrition" means all those things to us, it doesn't necessarily mean the same things to our kids. It would be interesting to ask them what they think "nutrition break" means and why they called it that. "Nutrition" seems to encompass so many rules and "shoulds" to me, at least the way it's typically used.. Glad they ladies are leaving your little one alone for now! I actually don't mind "nutrition break," because it seems like it removes some expectations about what or how much will be consumed. We're just going to nurture ourselves with food for a bit. I suspect that it's a matter of what connotations the word "nutrition" has for you – and they will be different ones for an elementary schooler. My daughter took half a turkey sandwich (mayo and turkey – she doesn't like anything else in it), a mandarin orange, a brownie, a Fruit by the Foot, and a juice box. So far, the lunch ladies this year haven't been pestering her about finishing or about the order that she eats in, so I haven't had to fight that battle (yet). I'm single but I can still share to you what I pack for my two nephews when their mother was busy. When their going to school, just a simple abut healthy snacks is what I used to pack for them because they don't like to be late in school so I thought of something that is easy but nutritious too. Also, if you're having problems with carrying a bunch of containers for the kid's lunch/snack because of different meals, then you can count Happy Tiffin's eco-friendly tiffin containers. You can stack as many food as you like even if its a combination of fruits, veggies, sandwich/cookies. I know we don't want to destroy the freshness of one food to the other one. So happy tiffin's tiffin carrier can help you out with that. 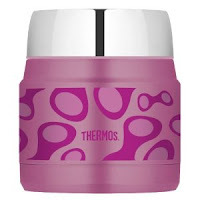 Moreover, it has 100% BPA free and it's safe to use. My daughter went to her first day of school with gluten free pasta salad (turkey cubes, cheese, broccoli, cauliflower, olives, etc), grapes, cheese stick and yellow cherry tomatoes from our garden. She ate the grapes and cheese at lunchtime, then ate the tomatoes and part of the salad on the way home–she shared the rest of the salad with her little brother. They have snack time an hour and a half before lunch so sometimes she doesn't eat much and is hungry later. By the time I pick her up from school, it is time for our afternoon snack and she likes to eat the rest of her lunch. She was very excited that she got an apple and crackers for snack, since her second choice for lunch fruit was an apple. I think the notion of calling it a "nutrition break" is interesting. What do folks think? "Breakfast" is the name of a meal: an occasion for being together, for enjoyment, and for conducting that pleasurable necessity called eating. "Morning nutrition break" strikes me as the name of a necessary medical function, to be carried out under the supervision of nutrition experts. Not the same thing at all. I haven't got the detailed daily schedule yet, but I saw one posted in the classroom during our visit. I think lunch breaks were 10:20 and 12:40, in a 8:40-3:15 day. That chart called them "lunch breaks", too. I'm happy about this, I'm not sure "nutrition" is a word my 4 1/2 year old needs worked into her vocabulary yet. Our lunch was called on account of rain, so we ate picnic style on the living room floor. She ate the apple, yogurt, and half the crackers (I was wrong, cheesy crackers, not animal) and the jellybeans. I had also packed a lunch, mine included applesauce. She says wants that in her lunch some days. And some days she wants a sandwich. We play with our food. Sandwiches are great for biting into shapes. "It's a t-shirt" "now its a bat!" Smart, Heather. There is a lot of anxiety and pressure over protein these days. Good for you for finding a way to protect your son. I find that the concern about protein is a major problem. Parents feed only chicken nuggets bc it's reliable "protein" they will eat, or cater or pressure in other ways. Parents often wildly overestimate how much protein a child needs, and also forget that kids are erratic eaters. Might eat little protein one day, and lots the next, It evens out for the most part. He has never said he feels left out or wants the main course. We've asked him about it, and told him he can have the other food if he wants. My decision to send him a main course was partly due to the teachers' concerns about him getting 'a protein' – I didn't want him to get pressured to "eat SOMETHING!" Sounds like a pretty balanced meal he got there. I find it sad that lunches cater to the kiddie menu offerings, but it's a larger societal problem. The way most kids are fed at home, they might refuse "grown up" foods that may be a little more challenging. I loved in Jaimie Oliver's Food Revolution how the parents were so enraged by school lunches, and then how many of them packed their lunches from home (chips and M&Ms) bc the kids complained. How about an expectation of mastery. As long as parents think their children have to "eat SOMETHING!" every single meal and snack, and are willing to cater and short-order cook, children have no incentive to expand their tastes. can you tell me what time the breaks are? I know your post is on children's school lunches, but I must say that as an adult student, I find "school lunch" to be a particular challenge as well. I don't want to subsist on the burger-fry diet in my school's dining hall and I don't want to eat out all the time. Taking a lunch is also challenging, due to lack of refrigeration. Night classes are also problematic. Rushing from work to class leaves little time for food other than drive-thru and some classrooms do not allow food or drink in them, so students are sometimes forced to not eat until 9 pm, when class is finished. That turkey curry sounds delicious! Thanks T for sending me the lost comment! Argh, a comment from an adult learner was deleted (I can't get it back! and it was interesting! ) It IS a challenge to do food away from home. I really like the thermos with left-overs. I don't usually do restaurant food that way, but foods I cook, I feel OK with putting in a pre-heated thermos for about 4 hours… I imagine the food-safety experts would gasp, but I know tons of kids, and adults who are fed this way and haven't gotten sick… NOT easy! I think the notion of calling it a "nutrition break" is interesting. What do folks think? Do kids need to call it that? How about "food break." Odd. Is it because they do lunch at 10 am, and can't rightly call it lunch then?? PB&J, pretzel nuggets, an apple, juice, and 2 Oreos. Plus, his water bottle because his grade is on the 3rd floor this year and it gets hot. Gabe was sent off today with a pb and honey sandwich, some cheezit crackers, cheese, two apples and some juice. His school has two nutrition breaks so we'll see how much he brings home. Hopefully not much. We have to ditch the peanutbutter tomorrow though, as we were informed this am his school is peanut free. my oldest is easing into JK this week. We have a "visit" to the classroom at 1, so we'll walk down together and have a picnic lunch just off school property. This morning we packed her lunch together, to get into the habit. She chose an apple, yogurt, cheese string, some animal crackers, and "a BIG pile of jelly beans! 5!" Our new school has "balanced day" with two nutrition breaks instead of lunch. I imagine it will take us a while to figure out the balance of what to pack, and when to eat it. But JK is all about learning. My plan is for us to pack food together and discuss what will be morning food and what will be afternoon food so we can talk about having different kinds of food for each snack time- knowing she may or may not deviate from the plan once she gets there.